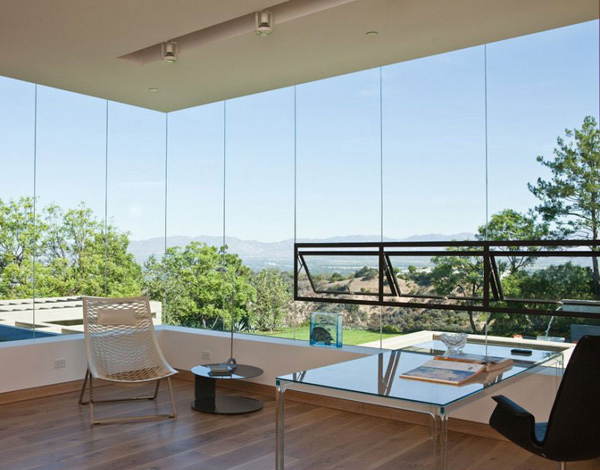 Sitting on a uniquely perched site and overlooking the San Fernando Valley, this house is a product of a renovation of an estate home which is located along the scenic view in Mulholland Drive in the hills of Bel Air, Los Angeles, California. Well the renovation of this house seeks to reconnect it with the available site where it is located. The site is situated in a large restructured openings and a comprehensive landscaping effort. While you can see that along with its expansive lawn and native vegetation, the backyard focal piece is its Olympic-sized infinity-edge pool and Barragan inspired water feature. The house seems like a large mass of brick-faced box forms which is unified by a second floor addition that glimpse out on to the backyard and in San Francisco Valley. Moreover, the home’s original exterior brick finish is celebrated rather than shunned. And it is complicated with large expanses of glass and dark steel support elements. This house has an area of 11,781 square foot and it is built by a commercial builder who covered it all in brick and masonry. In the interior of the house, the designers were able to orchestrate a collection of spaces which are combined by a focus on elemental wood and stone materials while sewing extraordinary showpieces for the many participating companies located within the avenues of art and design. However, the ground floor comprises of a large working kitchen and a family room. There is a gorgeous home theater, too. 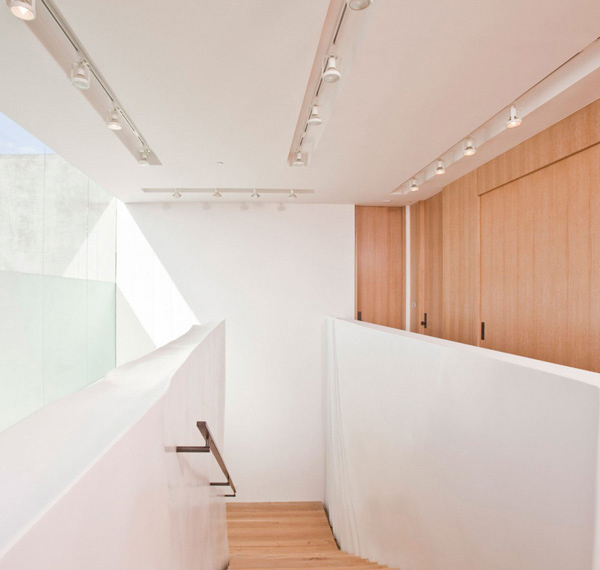 This is centered by an entry gallery that houses a custom designed rough savin lumber staircase with rippling. This has a customized molded wall that gives out an illusion of a fabric curtain that is being blown by the wind. This house has a lot of features to offer and enjoy by the client. Now are you ready to see more of the details of this house? Why don’t you check out the images of the different areas of this Stoneridge House below. 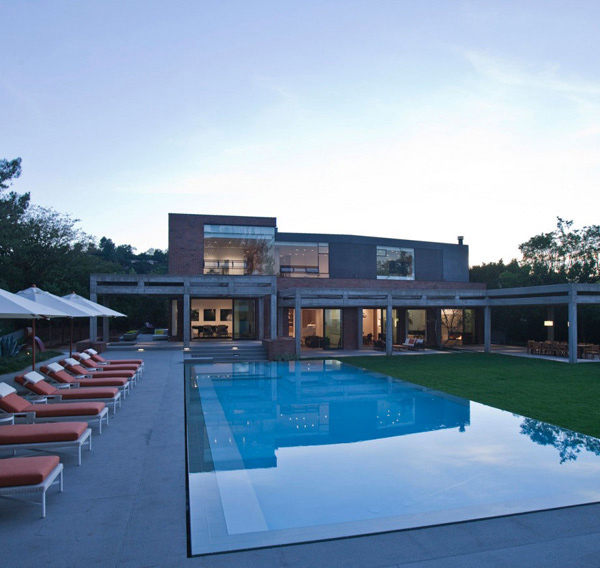 Here is the refreshing water in the luxurious infinity edge pool seated in this house. The refined sofa and the mini bar are successfully perceived in this interior of the house. 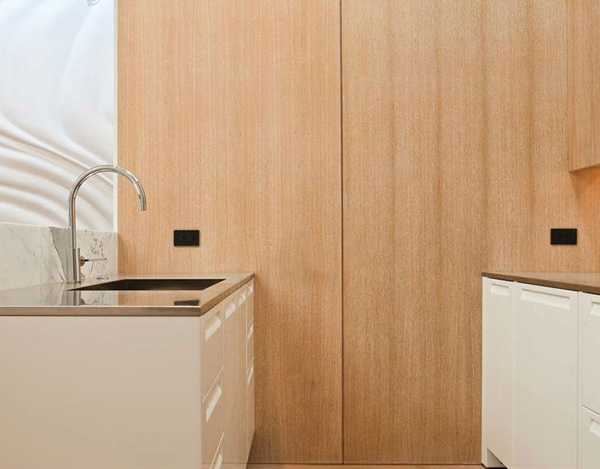 The noticeably high rated materials of the fixtures and furniture in this kitchen is displayed here. 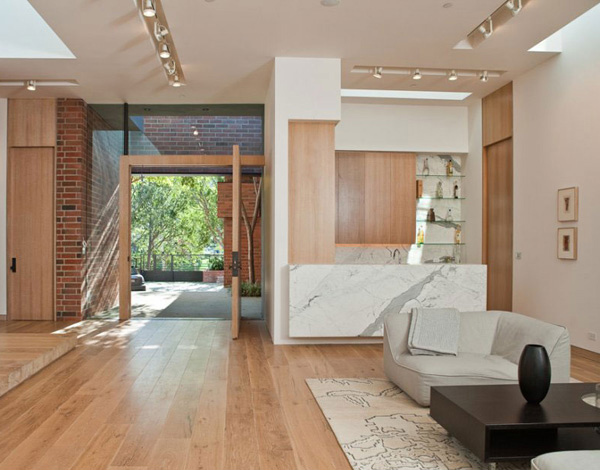 The palette of the walls and ceilings complements the wooden materials utilized in this built in cabinets and floors. 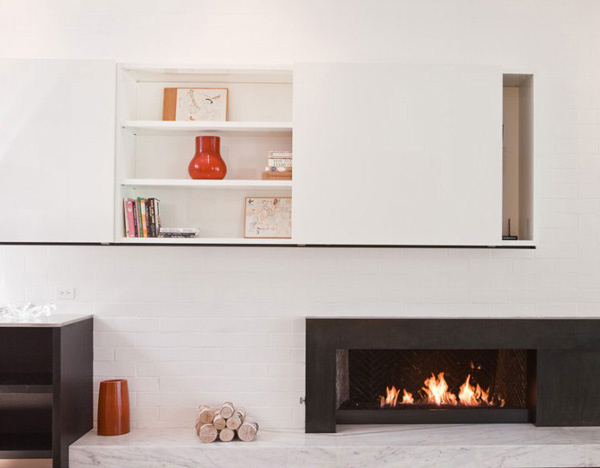 The incredible fireplace in this area has the capability of breaking the plain color of the walls. Here is the fantastic stairs which is made of woods that is invites the client to explore more of the features in the downstairs. The client can work effectively in this home office while enjoying the panoramic view through the glazed walls and windows here. 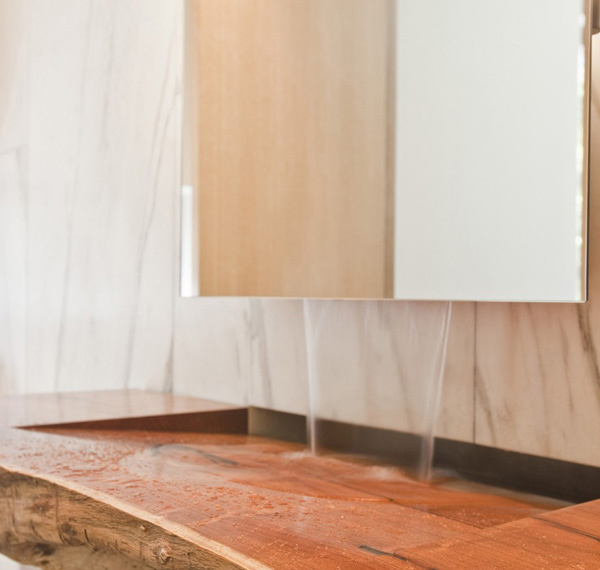 Even in the bathroom, the designers made use of the high quality fixture and palette. While the glass wall in the shower area makes it more appealing. 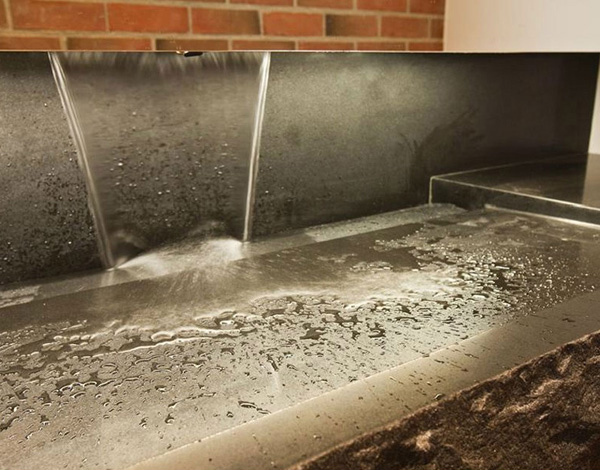 This is one of the best assets of the house where the clients can feel a peaceful and comfortable mood. Here is the man-made fountain that highlighted the great features of the house. 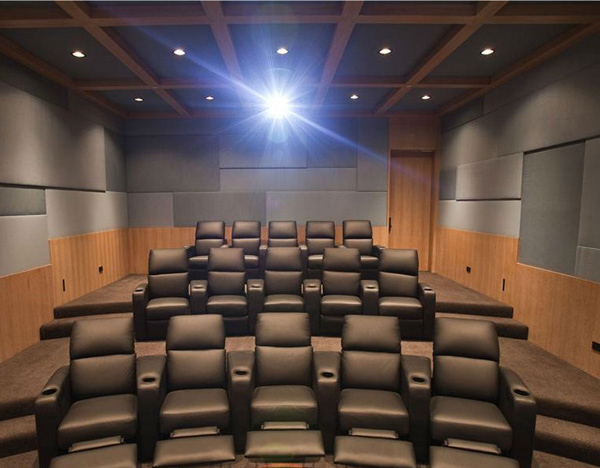 Let’s take a look at the large and luxurious home theater of the house where the clients and his family spend their bonding together. In the afternoon, the astonishing water in the pool is highly distinguished and the scenic view underlines the elegance of this house. The serenity of the place is obviously perceived here while the well-arranged chairs sums up the classiness of this pool area. The volumes and lines of this house together with the lights illuminated within the interior makes it more appealing. Even at night the stylishness of the interior is visibly seen through the sliding doors and lights in this area. In the second floor, it consists of three children’s room, the guest bedrooms and an open flowing 2100 space foot master bedroom suite. The interesting rippling customized molded wall art seems to greet everyone at the entrance. The master’s bedroom suite can clearly represent a strong sense of comfort and luxury to the client. 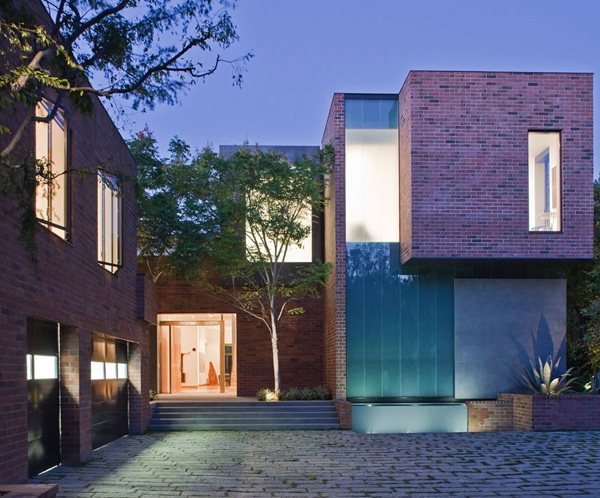 According to the designer, “the glass and stucco were used to help lighten the weightiness of the brick. While the interior material palette of organic materials and forms were intent to compensate the heaviness and hard edge mass of the exterior”. The pool and the fountain in this house provide a strong focal point and this is anchor with the large scale of the rear yard. Consequently, the success of the creative design of this luxurious house is credited to the Assembledge + principal David Thompson – assembledgecom, and in collaboration with Billy Rose Design. Well, in fact this house was given the distinct honor in the Products showcased house of the Avenues of Art and Design (the design district of West Hollywood) in collaboration with the Luxe Magazine. This deluxe design has successfully achieved the goals and demands of the client. The great and careful idea of the designer is obviously shown in every spaces in the interior and the exterior of the house. Now, it is your turn to share your favorite elements of the house. Why don’t you write it below?